Even Oprah thinks that home composting makes sense with this home based food waste recycling system making her ' Top 100 Things that are Getting Better' list. Our recycling system turns kitchen food scraps into compost in a matter of weeks not months, is odourless and simple to use. 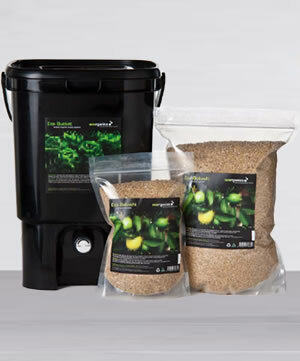 The food scraps are combined with our all natural and organic Probiotic microbes within a recycling bin which can be placed under the kitchen sink and used every day. 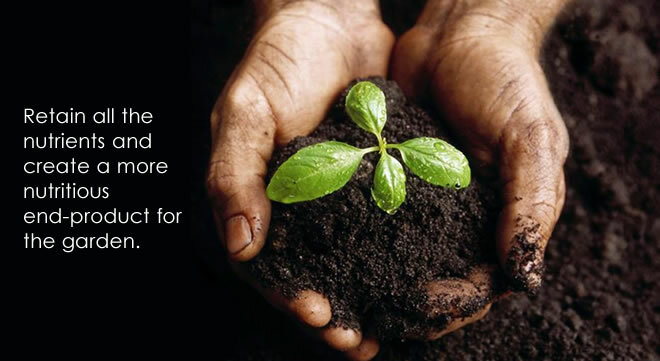 Once transferred to your garden or vegetable patch the food completely breaks down into rich, homemade compost. 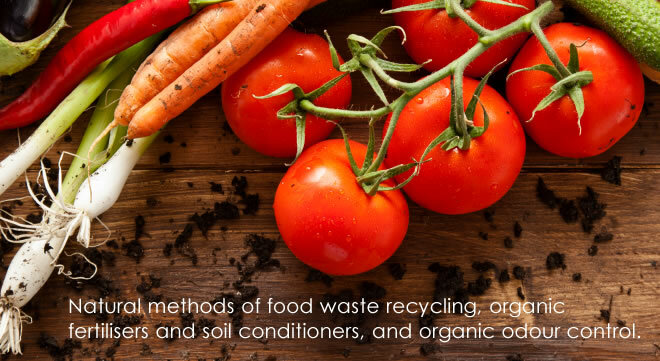 Our revolutionary process for treating large volumes of food waste is an extremely cost effect, natural and holistic food waste recycling system. 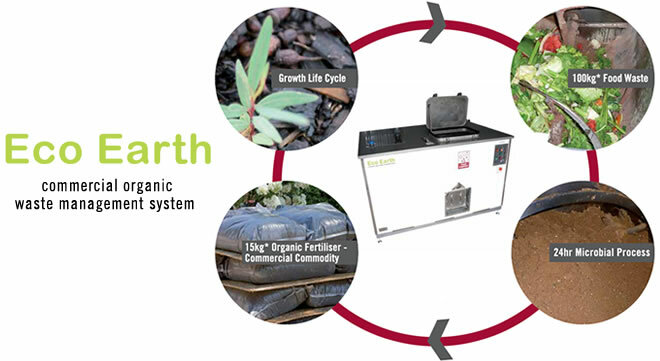 We can provide a system that treats food scraps created on a business's site and processed into rich valuable compost to be reused on that same site. No more transporting food scraps to landfill where the methane (which is 21 times more potent than carbon dioxide) that is generated does enormous harm to the environment. Ideal for convention centres, schools and catered work sites.